October 2018 marks the 90th year of operation for Cyprus Credit Union. Founded in Magna, Utah in 1928, Cyprus Credit Union was started by 22 Kennecott Copper Company employees with assets totaling less than $100. 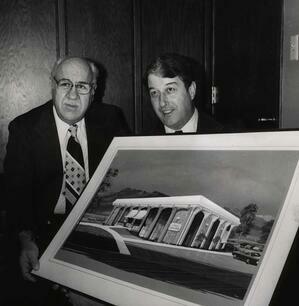 Today, we are the longest serving credit Union in Utah and have a membership total of over 100,000 people. Cyprus has a diverse membership throughout the Salt Lake Valley and beyond, with a branch network that stretches across the Wasatch Front in order to better serve the needs of our members. Our extensive network of ATMs provide free, convenient access to more than 28,000 locations nationwide and our participation in the shared branching network allows you to access your Cyprus account from almost anywhere. We look forward to continuing this growth through new branch locations and continuing advancement with technology in the years to come. None of this success would be possible without the continuous support of you, our members, over the last nine decades. As we look toward the future, we remain fully dedicated to providing the best financial solutions, products, and resources to our members.